Diamonds are without a doubt the most popular precious stone used for engagement rings and wedding bands, but an increasing number of people are seeing the benefits of also letting other gemstones symbolize their love and commitment. Throughout history, European royalty have used Sapphires, Emeralds and Rubies as symbols of their wealth and power, but they also indulge in these precious stones for their engagement and wedding rings. Precious stones allow for more variety and shape, which will give you options to create designs that you might not have considered for plain Diamonds. Instead, let the Diamonds play the supporting role. Apart from some untreated stones with amazing colour, Sapphires, Rubies and Emeralds are often more affordable than Diamonds, so you might even get bigger stones compared to a single Diamond. 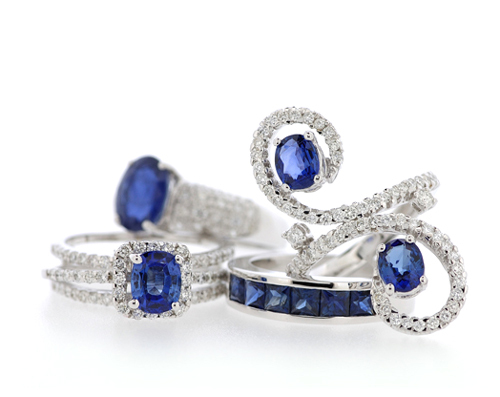 One of the highest-ranking alternatives to Diamond is The Sapphire. Sapphires are known to symbolize loyalty and faithfulness, which has lead it to become a popular stone for engagement and wedding rings. 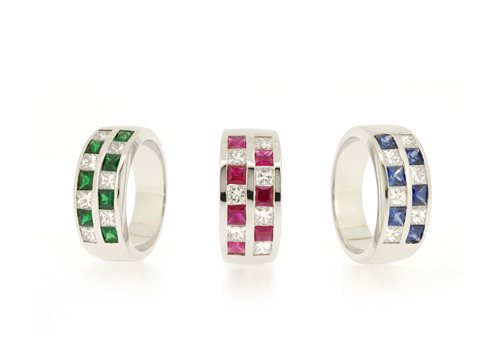 In combination with Diamonds, the colour of Sapphires stand out and make for very impressive conversation pieces. And if you want something unique to symbolize your engagement or marriage, what better way than with a Royal Sapphire. 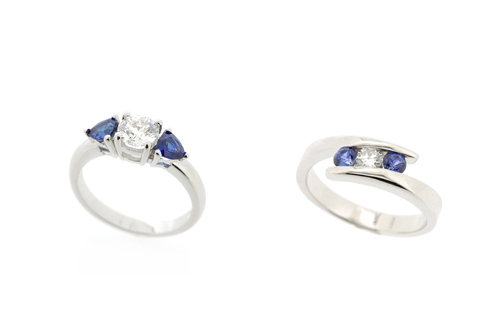 Diamond Engagement Rings Flanked with gorgeous Blue Sapphires!